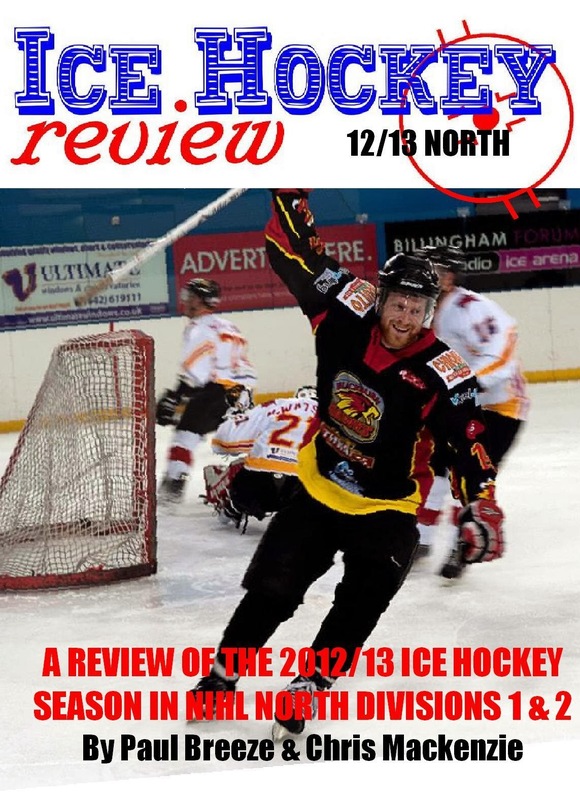 There’s a great opportunity to be involved in a little bit of ice sport history next Sunday 19th March as the first bandy event to be staged in this country for 100 years will take place at Peterborough Planet Ice arena – with an opportunity for ice skaters to go along and give the game a try. 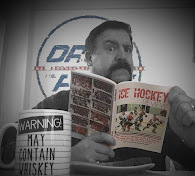 It is a fitting venue for the renaissance as the game was originally played on the frozen fens back in the 1890s but lost its popularity in this country after the First World War, although it has continued to be a highly popular sport in many other countries to this day. 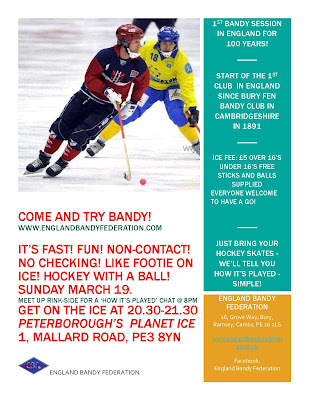 A new English Bandy Federation was set up earlier this year and members are now spreading the word and encouraging new people to become interested in the sport. 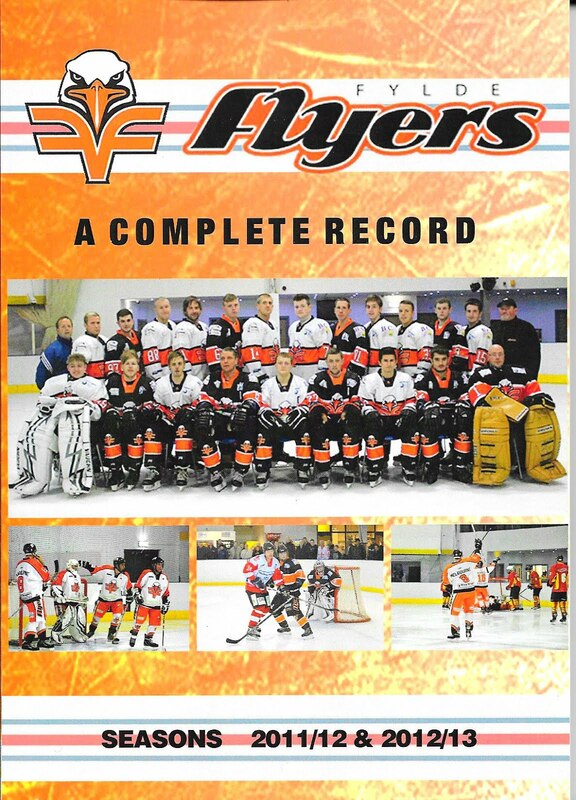 The driving force behind this project is new EBF President Lyn Gibb-de Swarte, a long term speed skater and coach who was also a founder member of the Streatham Strikers women’s ice hockey in the early 1980s. 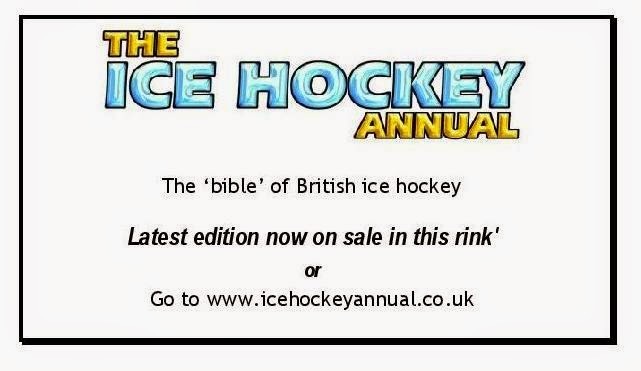 She has announced plans for a purpose built 100m x 60m indoor bandy ice field – the only one in the country – at a new proposed “Littleport Ice Stadium” - to be constructed at Littleport near Ely in Cambridgeshire, which is in the very heart of fen skating country. The facility will also have the only 400 meter speed skating track in the country, which will help introduce new people to that sport and also save British competitors having to travel to Holland for training and competitions – as that is where the nearest full size oval track is situated. You don’t need have to have played any sort of ice sport before to be able to join in the session, although a basic level of skating ability is necessary. 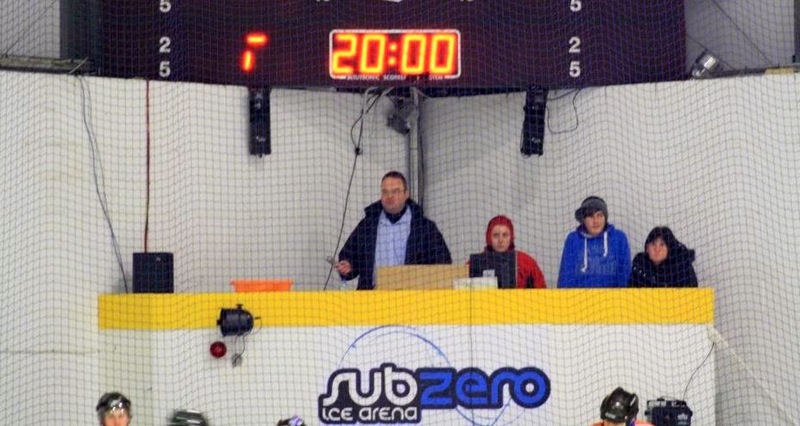 The event will be overseen by top bandy coaches from Sweden and also the Czech Head Coach Michael Bratt who has over 20 years’ experience coaching in Sweden, Holland & Russia and now back in his native land.